Pulse Digital are an approved Reseller, Approved Serving Dealer and Certified Genuine Consumable partner of KYOCERA Document Solutions (UK) Limited and have been for many years. KYOCERA manufactures and markets monochrome and colour network printers, multifunctional products (MFPs) and a portfolio of software solutions. Through KYOCERA we have access to a wide range of products and solutions to enable businesses to work better, increase efficiency and reduce costs. Pulse Digital partnered with Kyocera allows us to offer you the combined benefits of a strong relationship, responsive service and the latest technology. Flexible and easy-to-use, KYOCERA’s range of professional multifunctionals boost productivity with features to suit the needs of small workgroups or large departments. They get through day-to-day printing, copying, scanning and faxing with maximum uptime, while a wide range of finishing options provides professional-quality booklets and reports. Highly regarded by the industry and highly rated by numerous testing organisations, KYOCERA's complete portfolio of reliable, high-value, Eco-Friendly network laser printers, deliver high-resolution output with crisp black and white text and graphics for any size workgroup. KYOCERA's ECOSYS printers incorporate "cartridge-free"technology using a durable print drum and high yield toner container that provides thousands of printed pages, a low total cost of ownership and less routine user involvement. Every innovation starts with an idea. But an idea takes shape and form, so it can make an impact. 3D printers use a variety of very different methods of additive manufacturing technologies, but they all share one key thing in common, they create three dimensional objects by building layer by layer. 3D print technology brings a limitless number of uses and benefits to users in almost every single market place. 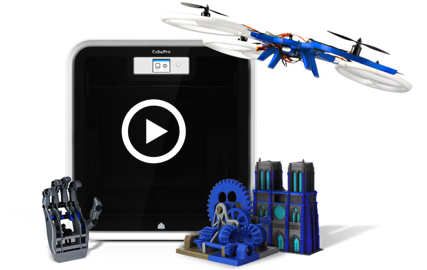 Elevate and streamline your desktop 3D printing experience with the KYOCERA full set of connected solutions and services. An additive technique that uses a device to create physical objects from digital models. 3D printing is helping businesses launch products to market faster, more cost effectively and with improved quality. Delivering rapid access to revenue and a compelling return on investment.